The 2017 season got under way on Saturday 8th April for Kenilworth . 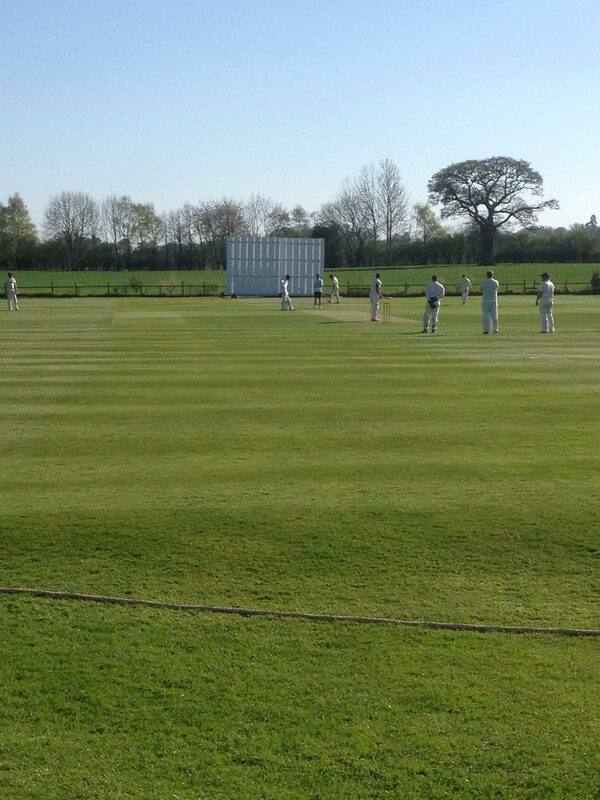 A home forty overs a side friendly against Rugby CC took place in unusually glorious warm sunshine and cloudless skies. Rugby opted to bat first and opening bat Qureshi with 44 laid a decent foundation for his side, but it was the number five, Edwards who hit a magnificent 101, as visitors Rugby piled up 286 for 8 from their forty overs. Wickets were shared for the hosts as Ed Ruswa took 2 for 44, Matt Casey 2 for 45, Ian Baker 1 for 19, skipper Neil Goodman 1 for 9 and Pat Howard 1 for 46. Kenilworth were never up with the required rate, only number three Tom Booker with a fine 91 that saw him hit 10 boundaries made any impact on the visitors’ bowling attack. Useful cameos came from Pat Howard 26 and Matt Casey 22 not out. The home side eventually finishing on 182 for 6 from their forty overs. Marshall with 2 for 32 for Rugby, as the visitors ran out winners by 104 runs. as both sides dusted down the winter cobwebs.